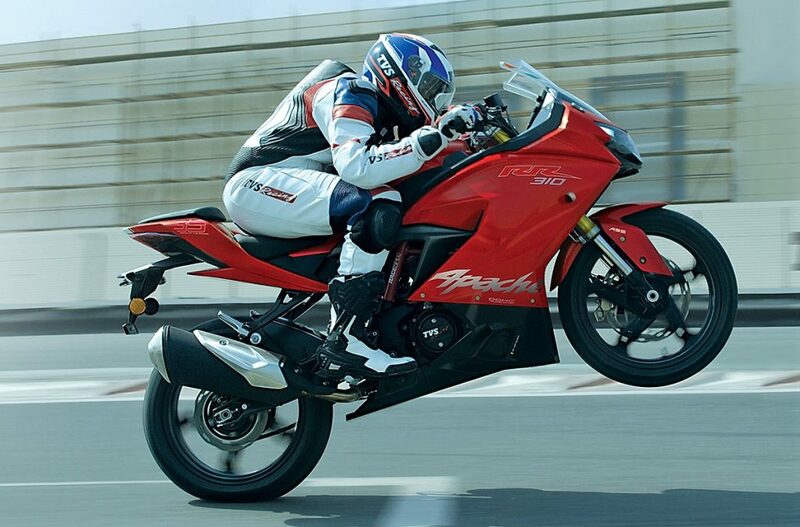 TVS Apache RR 310 (Akula) was launched in India at INR 2.15 lakh (ex-showroom Delhi). 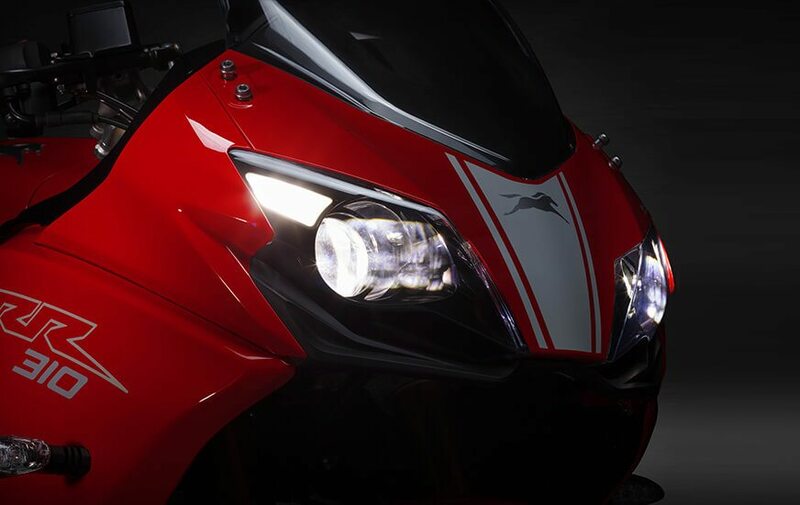 The brand recently increased the price of RR 310 in India, it is now available for INR 2.23 Lakh. 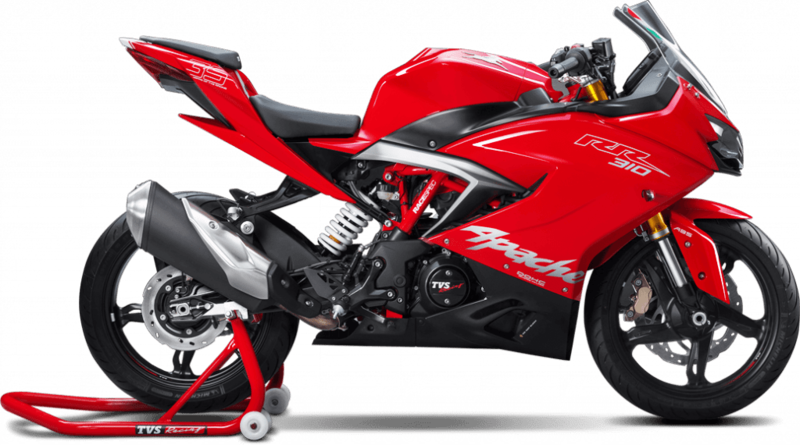 Everyone knew that Apache RR 310 would get additional components added to the body but its basic design was something that one cannot miss in the fully-faired segment. 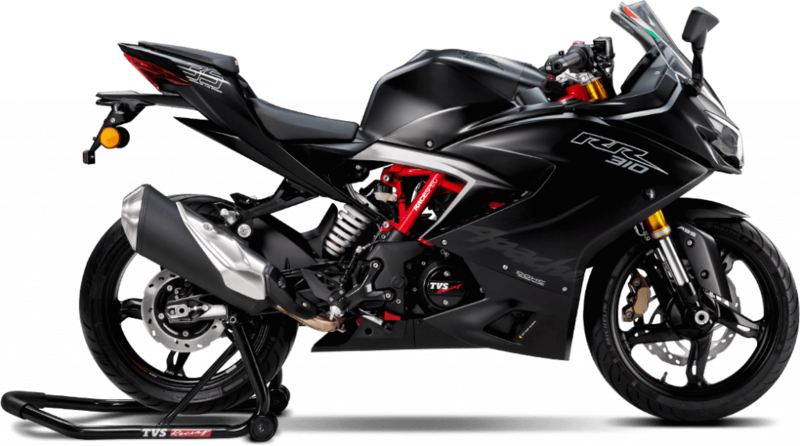 1) Priced at INR 2.23 lakh (ex-showroom Delhi), Apache RR 310 is the most-expensive motorcycle ever launched by TVS Motor. As always, they have kept the benchmarks high in terms of performance and equipment. 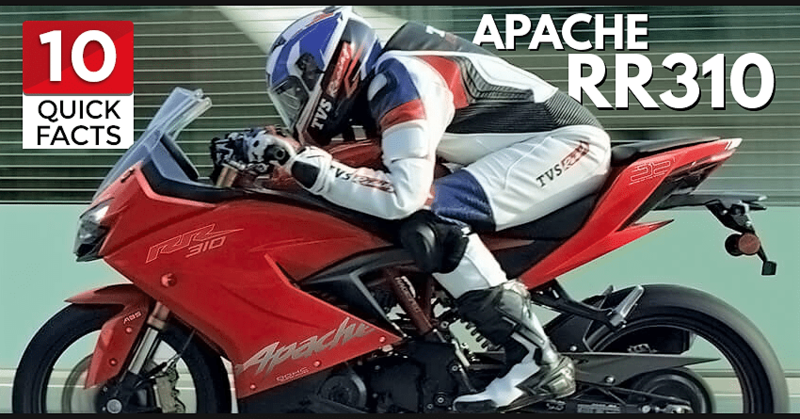 2) Apache RR 310 is the most-powerful motorcycle in the Apache lineup till date. The 312.2 cc, single cylinder engine is good for 34 HP @ 9500 rpm and 27.2 Nm @ 7700 rpm. The engine comes mated to a 6-speed gearbox. 3) Real world specs are pretty amazing as RR 310 takes just 7.17 seconds for 0-100 kmph sprint. The top speed is impressive at 160 kmph while city sprints to 60 kmph takes just 2.93 seconds from standstill. Mileage is expected to stay around INR 25-30 kmpl in real-world road conditions. 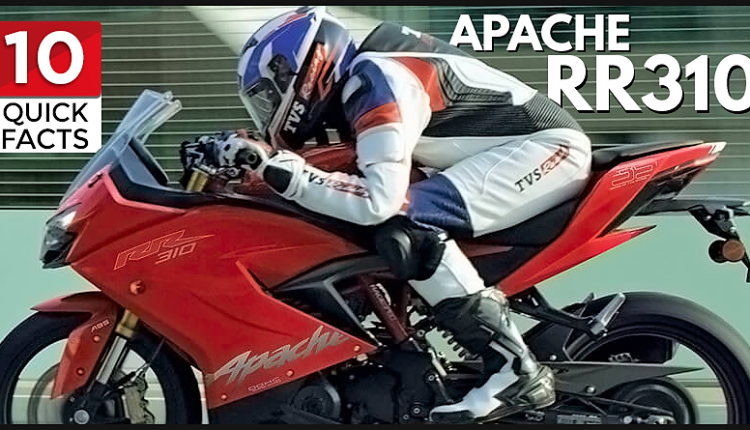 4) Apache RR 310 is not equipped with slipper clutch. Standard clutch on RR 310 has been tuned for track use, allowing quicker shifts and no false neutrals within this period. Placement of levers is in such a way that bending down on corners is never a problem. TVS is planning to launch an upgraded model with slipper clutch in coming months (Know More). 5) TVS is manufacturing the BMW G310R in India and positively, they do share exactly the same engine with Apache RR310. 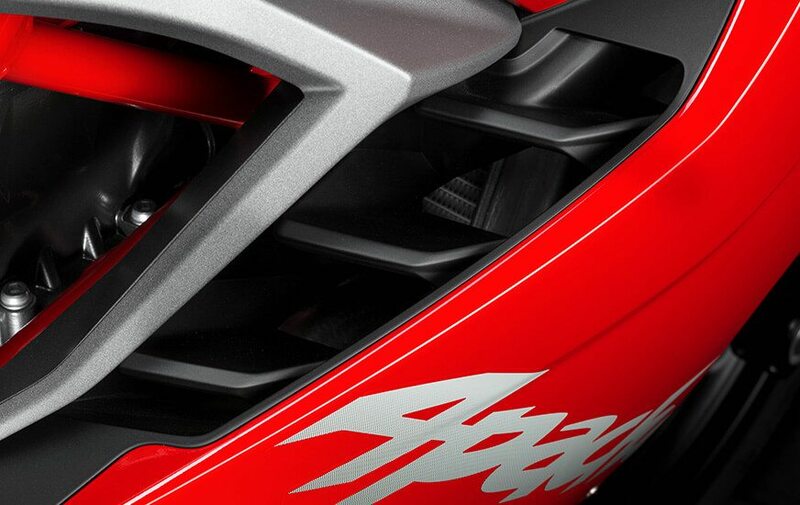 Additional weight comes through the fairing and that is balanced by better aerodynamics. 6) TVS offers Michelin tyres as standard on Apache RR 310. These are extra sticky pair of shoes for the newcomer as it needs to take on a rival that also comes with feature loaded approach for the Indian market. 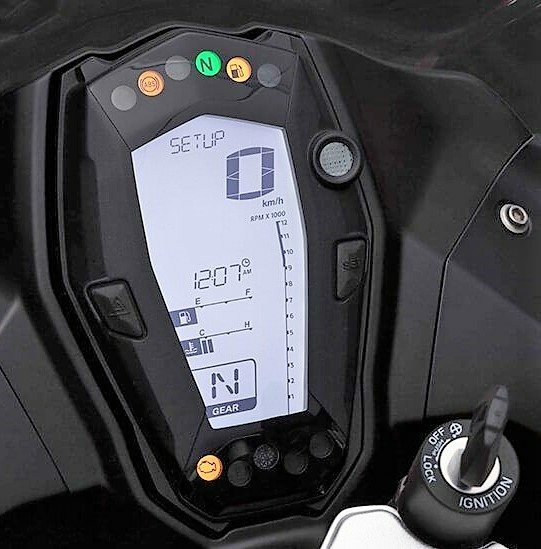 7) Dual channel ABS from Continental is available as stock on the motorcycle. This guarantees safe braking on wet roads and even helps rider prevent tyre shredding by regular wheel lockups. 8) Kayaba is providing suspension solutions on the Apache RR 310. The track tuned USD forks are pretty impressive. Rear monoshock is adjustable and suits the overall personality with its white profile. 9) Bi-LED projectors lights and all-digital instrument console further makes this package a mouth watering one in this segment. The vertical unit looks beautiful and comes with loads of information. 10) Apache RR 310 rivals none other than KTM RC 390 in its segment. The RC 390 is priced INR 18,000 higher at INR 2.41 lakh and comes with more power, slipper clutch, and ride-by-wire. Still, Apache looks more impressive and offers practical performance in comparison. Click Here for Complete Technical Specifications.